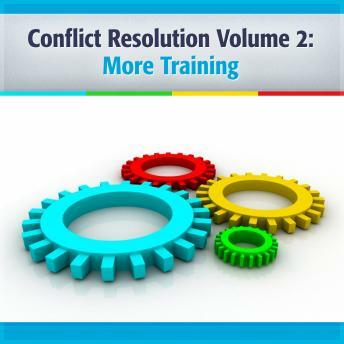 Conflict Resolution, Volume 2: More Training emphasizes more depth in relating to identify and solve conflicts--however, note that this is the abridged version. The basic plan continues from Volume 1's how-to work, to see if you can conclude by saying, "Let it be as you say," in order to build a bridge to the other side. This volume, however, is more complete than Volume 1. If you wish to listen to only one volume, we would suggest Volume 2 for those who want more depth in analysis and Volume 1 for those who want a quicker listen.